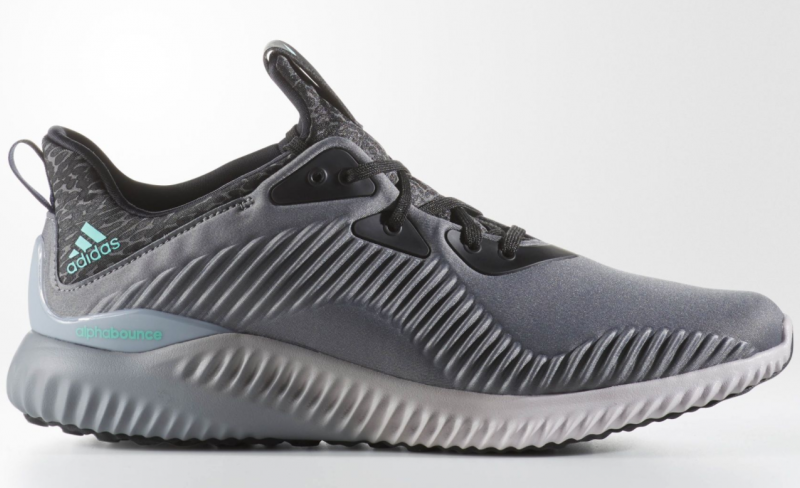 The adidas AlphaBounce model is looking to take the reins from the adidas Ultra Boost, a model which has a been at the forefront of the adidas running collection for a while now. Developed to offer support and expansion where the runner needs it most and with minimal materials, the sneaker features a singled-layered upper molded in a ribbed pattern, which adidas calls Forged Mesh. This particular version dons an ash grey design with hints of purple and mint. Other features include a unique print along the tongue/ankle areas, and a gradient effect along the sole.